In this episode, Joel talks with Antonia about the personal energy work he’s been doing with an energy coach. 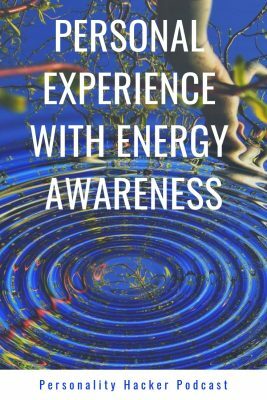 Energy work involves looking for manifestations in the physical world of the undercurrent of unseen forces that are working behind everything. High vibration energy is moving up and out. Unattached. No compulsions. Love is an underpinning of high vibration energy. It desires the creator more than the created. It wants the source behind all life. Low vibration energy is restrictive, congested, moving down and inward instead of up and out. It has compulsions. Attachments. It wants what it wants. It creates chaos, disruption, and confusion. To do the work, you need to suspend disbelief. Low vibration energy has an intent to create chaos and disruption. In Steven Pressfield’s War of Art, he talks about Resistance working against you. Am I in high vibration energy or low? Do I have to have something to feel complete? Or can I just let go and be in the moment? I can’t generate power in the future until I get there then it becomes the NOW. Where can you tap into power right now? Feel empowered in every moment. Don’t defer to the future. If you build the skill of being powerful now, you have everything you need in the future. As you work on increasing your high vibration energy, you will start being attacked by low vibration energy. Our body prefers homeostasis so it will react when we try to change our set points. Energy platform uses visualizations in meditative practice. Imagine energies moving, using breathwork, engaging with different muscles, etc. Energy movement and attunement that helps you move through your day empowered. Emotions emerge when the node of energy is off. The chart that talked about people being at various levels of energy and how they respond to the outside world. Hostility is a higher vibration than self-harm. Self-harm is one of the lowest vibration energies. If someone is hostile, they may be trying to pull themselves out of self-harm. Low vibration energy intends to create disruption, chaos, separation, procrastination. If you are feeling any of those things, you are probably in low vibration energy. Projecting anger outward is better than self-destruction. Apathy is way down the scale as well. If you feel hostility from someone, it may be them protecting themselves from their own self-sabotaging. Higher vibration energy is Less attached to specific outcomes to be happy. The more energy work you do, the more creative you become. Open loop thinking – possibilities: “I don’t know the answer right now, but I am going to focus on getting in a good energetic state.” Move your energy from low vibration to high and let go. Low vibration energy loves to live in the head and turn our thoughts against us. Rational minds trip us up a lot and low vibration energy is extremely logical. High vibration energy is illogical. It’s experiential. Think from your power center, not your head. We have severed our body from our minds. Sit with your feet on the ground (outside is preferable) and get present. Gather thoughts and emotions that are all crazy. Imagine an elevator in your head. Shove all those thoughts into the elevator, shut the doors and lock them. Send the elevator down through your body into the earth 20 feet deep. Breath way down deep into the belly beneath your navel. Bring awareness down into your center point where you’re breathing. Feel your body. The clothes against your skin. The feel of the air against your skin. Our energy is often a slave to our thoughts and feelings. Get the energy attuned and move through the world in a high vibration state. When you’re in high vibration energy, you feel good no matter what happens around you. Raise the set point in your life, and the spike points feel higher, almost ecstatic. The low points aren’t as low. A discipline that isn’t based only on platitudes. I’m an INFP. In 2014, I was diagnosed with schizophrenia. I know the feelings you speak of. I’m so happy to know others are in tuned with the skills I have used to heal myself over the years. Recently, I’ve graduated Soul School, my yoga teacher training program in New Orleans. It has helped in providing context, language, and archetypes, upon which I can frame a network of data to support my experiences. Also, I’ve used a combination of techniques, research, mentors, etc that served in that same respect. Thank you so much for this episode; and, for “Episode 0268 – Mental Health Story and INTP Personality with Christian River”. His story sounds similar to my own and it feels so good to know I’m not alone in these incredible experiences. I’ve finally found a tribe of likeminded individuals. It’s been great following the growth of the podcast over the year or so that I’ve been listening. It is one of the tools in my kit, and has helped me tremendously. This sounds a lot like the Law of Attraction work I’ve been doing. 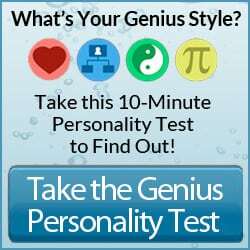 I’m an INFP and I found that learning about LOA has really helped me. Its very Fi type stuff. My coach is Kelli Cooper from Life Made To Order, if anyone is interested in knowing more. Thank you for the podcast! Some time ago I read “the unethered soul”, I really liked the book, untill this day it condused me (ESTJ) so much! In the book they talk about how people creatie their lives by blocking put anything that could give negative emotions. He also explained that it doenst have to be this way and you can deal with this in specific was. I really didnt get the ways that he explained. After listening to this podcast I recognized: for me at least, THIS is what could work for me! I hope that I explain it clearly… so I was wondering: I live in the Netherlands, would you have any recomendations to finding a course/coach like this in niet country? Thank again for the podcast! Thank you for this episode. I listened to it on the day my grandson went into the hospital with jaundice, and it reminded me to do some of my meditation, as well as teaching me about the energy levels and thoughts in my head. As an INTJ, that really hit home with me. Joel’s breathing exercise helped get me centered again so I could function again through the day and not worry so much. BTW, I listen to your podcasts every week, and get a lot from them. I love these guys! They continue to broaden their spectrum, opening their listeners to tools they’ve never considered. 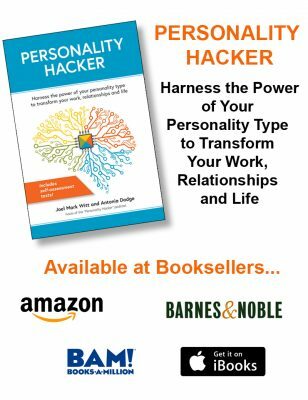 I’ve been doing energy work for years, along with my real job teaching personality awareness. I started with the breath work, which led to energy work, which led to more self-awareness, which led to teaching others how to come more aware. Thank you Antonia for convincing Joel to share something that isn’t always easy to talk about because it’s somewhat ephemeral and out of the realm of reality for most people. This episode brought to mind things I learned studying the occult and spirituality which are all being reinforced through the work PH does. Especially the breathing exercise which sounded to me like a grounding and centering exercise. I also want to say that while the work of C.G. Jung have been a constant recurance in my life I have taken a deeper dive into his work which seems to tie all the threads together for me. I appreciate the work Joel and Antonia do as it has helped deepen my overall focus and understanding. I loved this episode! Would love to learn more. I would love to do a training in this. This gives a method and language to something I have felt for a long time but can’t control or articulate. Thank you for sharing this Joel. As an INFJ woman I was approximately 0% thrown off by this concept. However, I feel like I’ve had a different experience when it comes to vibration frequencies. If this makes sense, I feel like the frequency has more to do with its container than the energy itself. 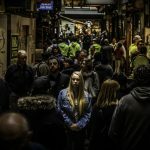 I notice, both in myself and others, when there’s an unpleasant energy like heartbreak, stress, or anger, I get the same visceral reaction as when there’s a loud, high-pitched ringing noise nearby. And when love or contentment is filling the space, I feel a more open and undulating energy. My suspicion regarding my personal perception of this energy is that it DOES have a lot to do with containers. When I feel stress or despair, I can almost pinpoint a place in my gut, chest, or other place in my body where I’m holding it. It’s almost akin to the states of matter—solids vibrate fastest, then liquids, then gas. I wonder if anyone else has noticed the experience of one of these horrible spaces, and becoming more viscerally aware of the more cyclical aspects of their bodies—their blood flow and breathing, for example. The energy seems to melt and disperse to the rest of my body. Imagine how you feel after a *really* good cry. Great episode, and I’d be super interested to hear from Glenn on the pod at some point! This energy work sounds like a combination of Chakraology, Reiki and Kundalini yoga. Keep it up Joel, it will continue to help you grow.